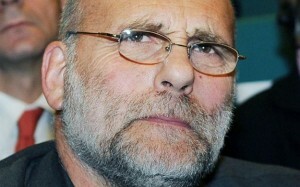 The Reuters news agency, and several other agencies are reporting, though not the Holy See as yet, that Al-Qaeda-linked rebels in Syria killed Jesuit Father Paolo Dall’Oglio, 59, who was kidnapped on 29 July. But there is NO definitive evidence this news is certain. What we do know is that Pope Francis mentioned his name at Mass on the feast of Saint Ignatius of Loyola on 31 July. For the past 30 thirty years Father Dall’Oglio has been leading a religious and cultural life at the Monastery of Saint Moses (Deir Mar Musa). The Monastery and its community was known to be an interfaith center devoted to Muslim-Christian friendship. Rebuilding this 6th century but abandoned monastery was Father’s and his small community’s attempt at preserving Syrian Christian establishments. One of the stunning pieces of Syrian religious patrimony Dall’Oglio preserved was an 11th century fresco of the Last Judgment. Father Dall’Oglio was ordained as a Syrian Catholic priest; he spoke Arabic and studied Islamic theology and philosophy. His doctoral studies and writing at the Gregorian University concentrated on the virtue of hope in Islam. Father was expelled from Syria in 2012, though he would sneak back into the country from time-to-time. More recently his voice has been heard in calling for the deposition of the Syrian President Bashar al-Assad and some Islamist rebel groups. La Civiltà Cattolica is Italy’s oldest journal; the articles communicate the Holy See’s point of view and is reviewed by the Vatican Secretary of State before they are published. 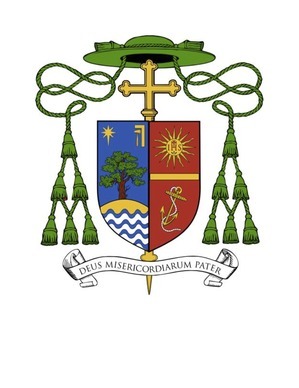 The editorial policy works to confront significant problems of humanity, society and the Church, to publish articles on human, theological, philosophical, moral, social, cultural, political and literary formation, and they try to offer a chart important events related to Church life plus events concerning Italy and other nations. The first is dialogue. You carry out an important cultural service. Initially the attitude and Civiltà Cattolica was combative and often, also, harshly combative, in tune with the general atmosphere of the time. Reviewing the 163 years of the review, one gathers a rich variety of positions, due be it to the changing of the historical circumstances, be it to the personality of the individual writers. Your fidelity to the Church still requires that you be hard against hypocrisies, fruit of a closed, sick heart, hard against this sickness. However, your main task is not to build walls but bridges; it is to establish a dialogue with all men, also with those who do not share the Christian faith, but “have the veneration of high human values,” and even “with those who oppose the Church and persecute her in various ways” (Gaudium et spes, 92). There are so many human questions to discuss and share and it is always possible to approach the truth in dialogue, which is a gift of God, and to enrich ourselves mutually. To dialogue means to be convinced that the other has something good to say, to make room for his point of view, for his opinion, for his proposals without falling, obviously, into relativism. And to dialogue it is necessary to lower one’s defenses and to open the doors. Continue your dialogue with the cultural, social and political institutions, also to offer your contribution to the formation of citizens who have at heart the good of all and work for the common good. 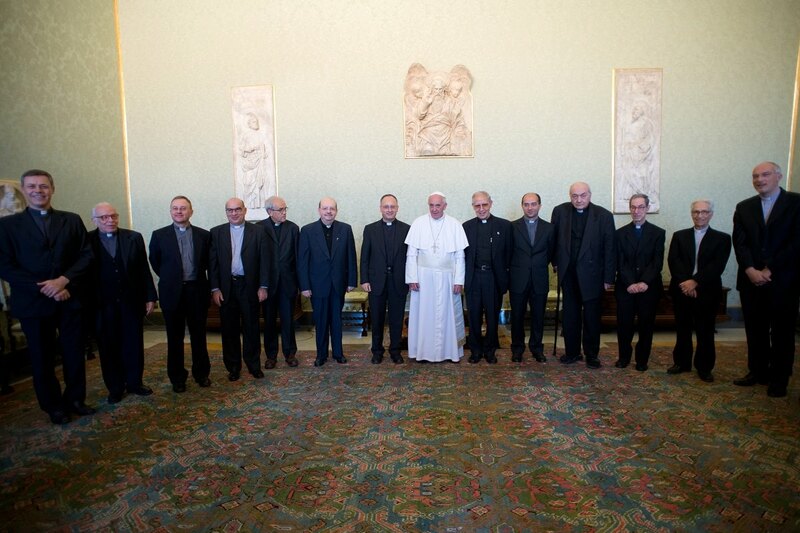 The “Civilta cattolica” is the civilization of love, of mercy and of faith. The second word is discernment. Your task is to gather and express the expectations, the desires, the joys and the dramas of our time, and to offer the elements for a reading of the reality in the light of the Gospel. The great spiritual questions are more alive today than ever, but there is need of someone to interpret them and to understand them. With humble and open intelligence, “seek and find God in all things,” as Saint Ignatius wrote. God is at work in the life of every man and in the culture: the Spirit blows where it will. Seek to discover what God has operated and how His work will proceed. 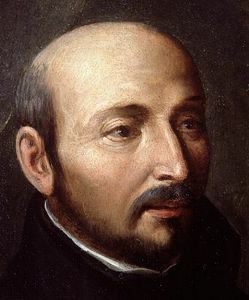 A treasure of the Jesuits is in fact spiritual discernment, which seeks to recognize the presence of the Spirit of God in the human and cultural reality, the seed of His presence already planted in the events, in the sensibilities, in the desires, in the profound tensions of hearts and of the social, cultural and spiritual contexts. I recall something that Rahner said: the Jesuit is a specialist of discernment in the field of God and also in the field of the devil. One must not be afraid to continue in discernment to find the truth. When I read these observations of Rahner, they really struck me. And to seek God in all things, in all fields of knowledge, of art, of science, of political, social and economic life, studies, sensibility and experience are necessary. Some of the subjects you address might not have an explicit relation with a Christian perspective, but they are important to appreciate the way that persons understand themselves and the world that surrounds them. Your informative observation must be broad, objective and timely. It is also necessary to give particular attention into the truth, goodness and beauty of God, which are always considered together, and are precious allies in the commitment to defend the dignity of man, in the building of peaceful coexistence and in protecting creation carefully. From this attention stems serene, sincere and strong judgment about events, illuminated by Christ. Great figures such as Matteo Ricci are a model of this. All this requires keeping the heart and mind open, avoiding the spiritual sickness of self-reference. Even the Church, when she becomes self-referencing, gets sick, grows old. May our sight, well fixed on Christ, be prophetic and dynamic towards the future: in this way, you will always be young and audacious in the reading of events! The third word is frontier. The mission of a review of culture such as La Civilta Cattolica enters the contemporary cultural debate and proposes, in a serious and at the same time accessible way, the vision that comes from the Christian faith. The break between Gospel and culture is undoubtedly a tragedy (cf. Evangelii nuntiandi, 20). You are called to give your contribution to heal this break, which passes also through the heart of each one of you and of your readers. This ministry is typical of the mission of the Society of Jesus. With your reflections and your deeper, support the cultural and social processes, and all those going through difficult transitions, taking account also of the conflicts. Your proper place is the frontiers. This is the place of Jesuits. That which Paul VI, taken up by Benedict XVI, said of the Society of Jesus, is true for you also in a particular way today: “Wherever in the Church, even in the most difficult and acute fields, in the crossroads of ideologies, in the social trenches, there was and is the confrontation between the burning exigencies of man and the perennial message of the Gospel, the Jesuits have been and are there.” Please, be men of the frontier, with that capacity that comes from God (cf. 2 Corinthians 3:6). But do not fall into the temptation of taming the frontiers: you must go to the frontiers and not bring the frontiers home to varnish them a bit and tame them. In today’s world, subject to rapid changes and agitated by questions of great relevance for the life of the faith, a courageous commitment is urgent to educate to a faith of conviction and maturity, capable of giving meaning to life and of offering convincing answers to all those seeking God. It is a question of supporting the action of the Church in all fields of her mission. This year La Civilta Cattolica has been renewed: it has assumed a new graphic appearance, it can also be read in a digital version and it brings its readers together also in the social networks. These are also frontiers in which you are called to operate. Continue on this path! Dear Fathers, I see young, less young and elderly among you. Yours is a unique review of its kind, which is born from a community of life and of studies; as in a harmonious choir, each one must have his voice and harmonize it with that of others. Strength, dear brothers! I am sure I can count on you. While I entrust you to the Madonna della Strada, I impart to you, writers, collaborators and Sisters, as well as to all readers of the review, my Blessing. On this date in 1889, Jesuit Father Gerard Manley Hopkins died. He was a convert and a poet. Hopkins struggled with having good physical and mental health. Hopkins’ poetry is extraordinary and innovative in the use of language and form. It is said the was influence more by the Franciscan school than the Thomists. 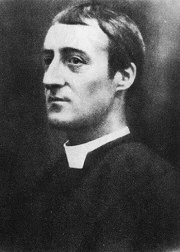 O God, You did raise Your servant, Gerard Manley Hopkins, to the sacred priesthood of Jesus Christ, according to the Order of Melchisedech, giving him the sublime power to offer the Eternal Sacrifice, to bring the Body and Blood of Your Son Jesus Christ down upon the altar, and to absolve the sins of men in Your own Holy Name. We beseech You to reward his faithfulness and to forget his faults, admitting him speedily into Your Holy Presence, there to enjoy forever the recompense of his labors. This we ask through Jesus Christ Your Son, our Lord. Amen. Statistics are not that interesting unless you’re bean counter. Even then the numbers don’t account for everything that’s happening in the Church and in a group. Admittedly, there needs to be room for the work of the Holy Spirit. Having said all this, if you want to see how culture and theology are working together –or not– you need to look at the numbers. There is a claim that the largest order of men in the Church is the Society of Jesus, founded in 1540; if you bring together the various Franciscan groups of men they’d likely outnumber the Jesuits. Several years ago Father Peter Hans Kolvenbach said that looking at the original charism of the Society the vocation to be a Jesuit was given to very few men. In the course of history, and for particular reasons, the Society exploded in numbers surpassing expectation and control. And yet, there has been a tremendous amount of good done through Ignatian spirituality, but there has been a demonstrable chaos wreaked by the same. It looks as though the chaos is lessening but it will take another generation or two for a more authentic living of the charism of Saint Ignatius and the first Jesuits to be fully lived again. As of 1 January 2013, the total number of Jesuits was 17,287: 12,298 priests, 1,400 brothers, 2,878 scholastics, and 711 novices – a net loss of 337 members from 1 January 2012. Father Michael Charles Barber, SJ, was ordained a bishop today for service in the Diocese of Oakland. Last eve he professed his Catholic faith and took the oath of fidelity. The Sacrifice of the Mass with the Rites of Episcopal Ordination were offered at 11am pacific time. With prayer to the Holy Spirit and the laying on of hands by Metropolitan Archbishop Salvatore Cordileone, Jesuit Bishop Carlos Sevilla (emeritus bishop of Yakima) and Bishop Thomas Daly. Sevilla is also a member of the California Province of Jesuits. For trivial purposes only, Bishop Gordan Bennett, SJ, bishop emeritus of Mandeville, former auxiliary bishop of Baltimore, is also a California Jesuit. Father Barber is the first member of the Society of Jesus to be elected a bishop by his fellow Jesuit and Pope, Francis. The appointment was made on May 3. Barber is the first Jesuit to be a bishop who will serve in the USA since Bishop George Vance Murry (Youngstown, OH).